We are offereing custom embroidered jackets with a likeness of your aircraft. Order a custom embroidered jacket with a likeness of your aircraft with your tail number below the aircraft. These are high quality jackets. Turn around time is usually two to three days. Prices starting at $65.00. 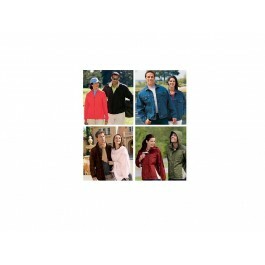 DIfferent jackets are available - light, winter, hooded, etc. April 24, 1929: Seventeen year old Elinor Smith sets a flight record of women by staying aloft in her Bellanca cabin monoplane over New York for 26 hr, 21 min, 32 sec.